Hey ya'll and happy Wednesday! WHW = What's Hap-"Pinning" Wednesday...will it catch? My font is so large on my header so until I change that I'm condensing (haha) Today I'm sharing what has been going on around here lately. Unfortunately Miss A came down with her first high fever and because of the snow, the pediatrician has been closed! Yes closed, I kid you not. She hit a 103.9 and I called the on-call service and they didn't seem to be too concerned.....they just said to alternate tylenol and motrin and keep fluids in her. I'm wondering if teething could be a contender and she did have her first big play-date last week. She has sort of gained an appetite back and is drinking a little more but definitely not her normal amounts. I thought yesterday morning when her temperature dropped to normal she was alright but last night it spiked again. We are taking her to the doc today just in case it is something more serious. Sick babes are seriously heartbreaking ya'll. If you've kept up with us on Snapchat then you've seen how pitiful she's been. Bless her tiny little heart. Send us some wellness vibes if you get a chance to today! 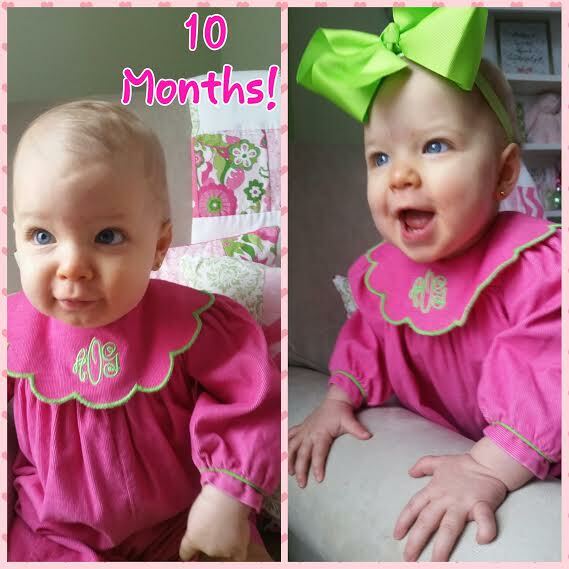 Other than dealing with icky fevers, she turned 10 months and I seriously cannot believe that I just picked up her 1st birthday invites! (which are seriously over-the-top presh!) 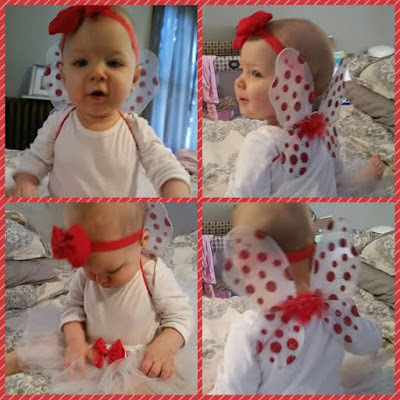 Valentines day was fantastic - hubby was out of town working but we were able to celebrate yesterday and the grandparents spoiled Andi with flowers, goodies, new clothes and snacks! She was loving every second of it. Also, I've made it a little over a month with my 'natural' dark locks. That means it's fair game for me to go back blonde-sih right? Right? I'm going to wait closer to my birthday so I can call it a happy b-day to me gift before making another appointment. I'm thinking I'll go a shade lighter and do my normal low/high-lights but I'm not positive yet. 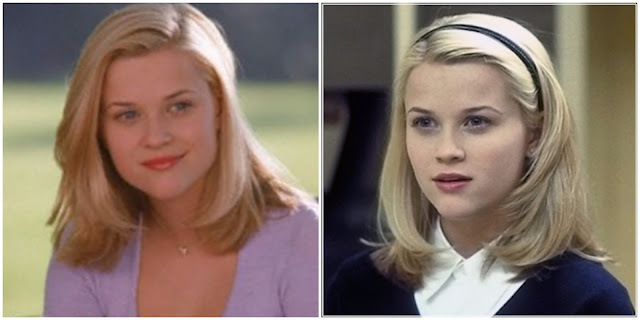 I've been old-school crushing on Reese circa the Cruel Intentions days for style/cut though. 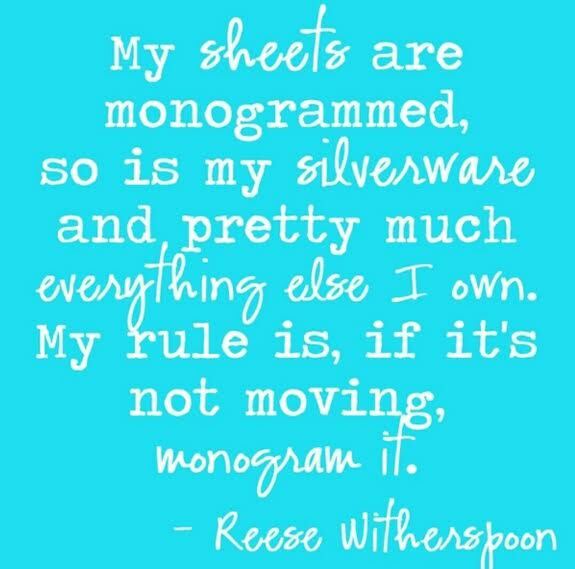 Speaking of Reese, does her quote on monogramming EVER get old? NOPE! 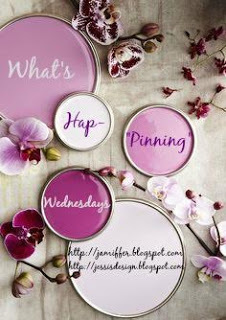 Grab our button and link up with me or Jenn for what's hap-pinning! I agree with Reese! Monogram everything! And I just moved my appointment up to go back blonde--it's time! I'm sorry A has been sick, and with her first major fever, but hopefully she's on the mend now and getting back to her happy-go-lucky self :) Loved her in her Valentine's day wings--so stinking cute!! Sweet baby, I hope she starts feeling better soon :( Those flowers are gorgeous!! I hope she gets to feeling better soon! There is nothing worse than a sick baby, especially those tiny like Andi who can barely take anything! And it's so exhausting for mama, too. Praying she's on the mend soon! I'm in dire need of a cut and color, but the birthday is almost 1 month away so I'm saving it for less guilt! Hope sweet lil girl gets better. Can't wait for her party! I hope your baby girl feels better soon! I know how hard it can be seeing your little one sick! She is such a doll! I hope Miss Andi feels better soon. Even sick she is adorable. I loved the snaps of her sucking her thumb. Hope Momma feels better too, I know how hard it is on the momma too when the baby is sick. Hugs. Hope your little one is feeling better soon! You would look great with that haircut, too! Those wings! So precious!!! Ohhhh Reese, I just know that we could be friends in real life! I am digging the layered lob! I just cut my hair post-wedding into a lob and while I love it, sometimes I wish I had more definition when its straight verses curled! Poor baby girl!! I hope the fever passes soon.. I'm glad you finally got an appt at the Doctor's!! Fevers scare me so I'm always really cautious about them.. it would freak me out to have the Doctor's office closed!!! 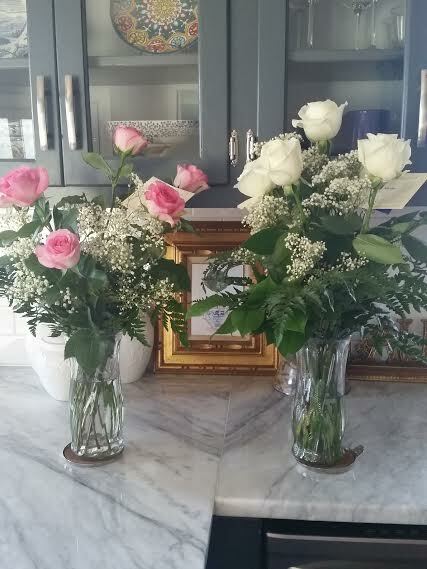 Glad you had a good Valentines Day, the roses are beautiful! Fevers in babes are the worst. It breaks my heart to see my poor bean sad and miserable. I hope she feels better soon! Poor little Andi!! I hope she gets better quickly!! Reese is just the best! Bless Andi's little heart! I know that had to be so scary for you guys since it got so high. Just remember that the fever is a good thing because that means that her little body is doing exactly what it needs to do to fight off that sickness. I hope she feels better soon! And amen to monogramming AAAALLLL the things! I wouldn't be a very good southern girl if I didn't agree with that, right? Monograms will never get old. Love them! Hope your little one is feeling better! bahahaha to reese and that monogramming quote. i don't think i own anything monogrammed. her hair is always fabulous, but especially back then. poor miss A! hope she is better soon! 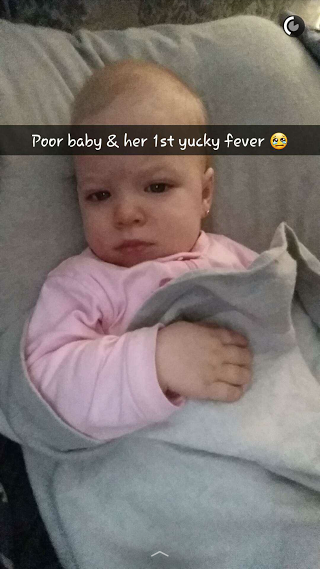 Ugh, sick babies are the worst! I have one now too. But all that breast milk is one of the best medicines. Also skin to skin helps bring down fevers. Hope she is on the mend soon! 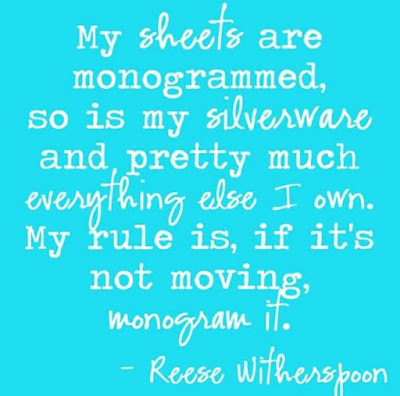 Loving Reese's monogramming quote! Poor Miss A, I hope she feels better really soon, sick babies are never fun! Awwww poor Andi! That's a high fever! So scary! I hope she's feeling better! 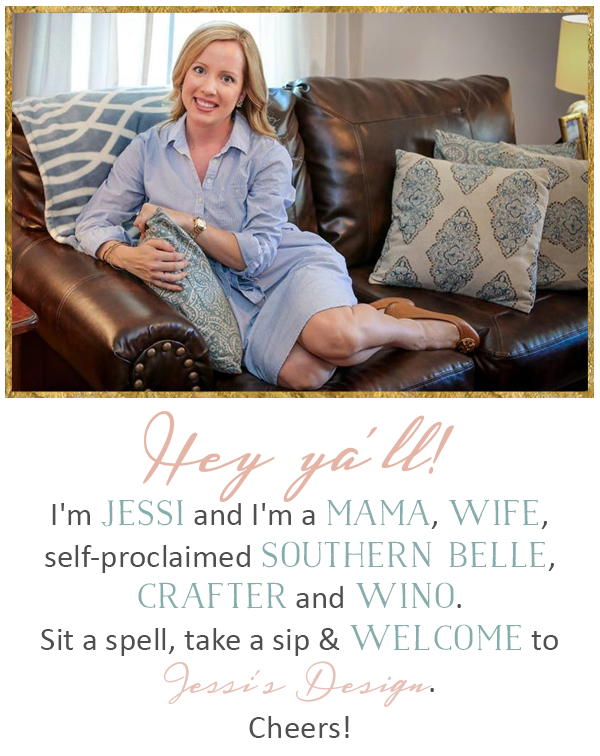 That monogram quote is so you! I love it! Poor Andi! Sick babies truly are the most pitiful. I bet you are so glad you get to stay home with her; I hope she feels better soon! I am not friends with you on Snapchat but I obviously need to be in order to get a daily dose of that sweet girl! My username is katethegreat54 :) Love Reese's color and simple cut, it would look great on you! Friday 5: Bow Sale & Thanks!